The human eye is a relatively simple optical instrument that imposes the first performance limits on the visual system. 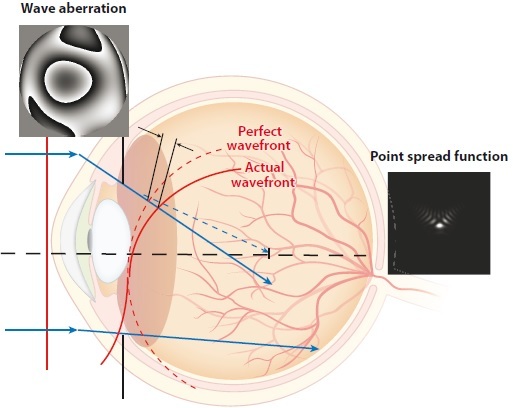 This review describes the main optical properties of the eye: geometric image formation, aberrations, and intraocular scattering. The article also discusses the sources of optical degradations and their impact on visual performance.